Show and Tell Meg: New Free Craftsy Classes! Just in the last few weeks, Craftsy has unveiled some great new Free classes :) In fact, 2 of these were just released today! 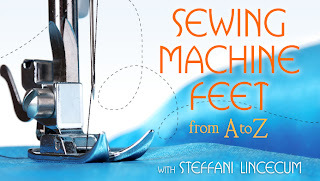 Sewing Machine Feet A to Z sounded really great to me when I saw it this morning. My new sewing machine came with a zillion feet and to be honest I don't really know how to use them to their full advantage. What better way to get a real idea of what all of them are used for? Perfect Pizza at Home is taught by the man who teaches the Artisan Bread class and I was really surprised at how much it covers. He has several recipes for different pizza crusts (including gluten free), plus his recipes for marinara sauce, basil pesto, herb oil and garlic oil. 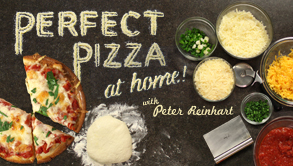 I'm a huge pizza making fan anyway, so I can't wait to try these recipes out! 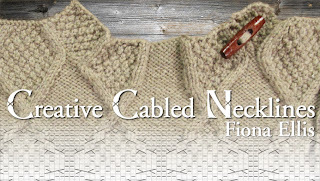 Creative Cabled Necklines has a few different patterns and techniques to make for interesting necklines on cabled garments. This is something I have yet to try, but I know I've got the resources now to figure it out! For the first two classes above, just sign into you account and click on the Newest Classes tab on the left. The bottom class has a direct link :) Enjoy!